One major issue is groundwater: although they are a common public resource, they qualify as private property through land ownership, and their consumption is not as regulated as it should be. From the balcony of an old Portuguese house in Goa that’s been converted into a guesthouse, I see a water tanker outside our gate, spilling water onto the road while filling the underground water tank. Our proprietor says his well has run dry and the municipal water supply has become increasingly erratic. He is now forced to rely on expensive private tankers. The tanker has been here thrice over the past week. Its driver tells me that Goa’s wells are running out of water, even though it’s only spring and the hot, dry summer is yet to come. Many have spoken about India’s future water crisis, but the crisis has already begun manifesting itself across the country. A NITI Aayog report stated that 21 Indian cities, including Delhi, will run out of groundwater by 2020, affecting 100 million people. Perhaps more concerning is that Goa, a state with one of India’s lowest populations and highest rainfall rates, is experiencing a shortfall. 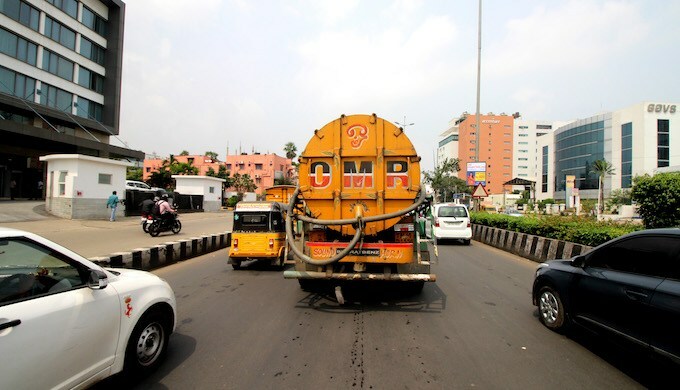 The proliferation of private water tankers in many Indian cities has masked the severity of the problem. Also according to NITI Aayog, Delhi has been losing 3 cm of water from ground and surface water reserves, and is predicted to hit ‘day zero’ – when its water supply runs out – by 2020 at this rate. Alarmingly, India’s national and state governments have failed to grasp the crisis’s severity. Their apathy stands in stark contrast to the response of policymakers in Cape Town. The South African city had its day zero in 2018, and it was manageable because the city’s residents had curtailed their water usage by almost 60% over three years, achieved through city-wide restrictions and innovative policies. India’s policymakers, on the other hand, don’t have the appetite for demand-side restrictions or higher tariffs that could spur public investment in water infrastructure. The resulting shortfall in municipal water supply creates a perfect breeding ground for water-tanker mafias. Although the middle-class is willing to pay for private tankers, it is the poor who are affected more because they have to part with a larger share of their income. The other equally-worrying-but-overlooked concern is poor water quality. During a consulting project, I once attended a session on India’s water quality where a hydrology researcher analysed tap and bottled water in Delhi and compared it to tap water in the UK. The results were shocking. Even the bottled water in India from a reputed brand was filled with bacteria and harmful microorganisms that weren’t supposed to be there. This anecdotal evidence is backed up by the NITI Aayog report as well, which concluded that nearly 70% of India’s water is contaminated. Polluted water sources cause 2 lakh deaths each year and are responsible for 20% of the country’s disease burden. Although many middle-class and rich households install a modern water filter, this isn’t a foolproof solution against contaminated reservoirs, rivers and tanks. Moreover, the poor can’t afford the same luxury of owning a filter. As cities increase their reliance on private water tankers, water contamination concerns are likely to surge over the coming years. Water is a state subject under India’s constitution: it falls under the purview of state governments. Although this increases local accountability, it often results in opportunist political parties providing free or underpriced water to voters. Experts have focused on the need for better policies, such as reducing electricity subsidies for farmers (used to deplete groundwater through borewells). Many have advocated for the diversification of crops, away from water-intensive crops like paddy and sugarcane. These solutions will certainly make a difference since the agriculture sector accounts for 70% of the country’s groundwater depletion. However, they only tackle the symptoms, not the root cause of groundwater depletion, which is the private ownership of groundwater. Groundwater aquifers are a common public resource, similar to rivers and lakes, but qualify as private property through land ownership. In the absence of tight monitoring and regulations, overconsumption by households or commercial businesses can rapidly deplete common underground aquifers. Despite the political ramifications, reclassifying groundwater as a common resource and regulating its use is essential to avert the impending crisis. A 2017 study found that at the current rate of global warming, two-thirds of the Himalayan glaciers could be lost by 2100. This will hit North India the hardest, given it relies heavily on surface water sources like rivers and springs. These findings make it imperative for India to not only conserve its groundwater resources but focus on broader environmental protection. India’s water crisis cannot be tackled in silos. On the one hand, climate change and rampant environmental destruction contributes significantly to the country’s water stress. On the other, incentives for economic growth are aligned with speedy environmental clearances and weak regulatory oversight. The government needs to fix this paradox by incentivising bureaucrats to prioritise long-term environmental protection over short-term growth. Ensuring clean and reliable water supply must move beyond a political slogan, since it’s the only way to sustain economic growth. As we head into another general election with the promise of a ‘New India’, it’s essential that environmental considerations are pushed to the forefront of parties’ manifestos. After all, the climate is changing and the wells are running dry. 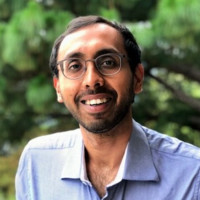 Siddharth Goel is an independent public policy consultant with extensive experience in India, the US and Europe. He writes about innovative public policy ideas on his blog, Rethinking Public Policy.